Roll up this unique idea at your next event – a shopping party on wheels. 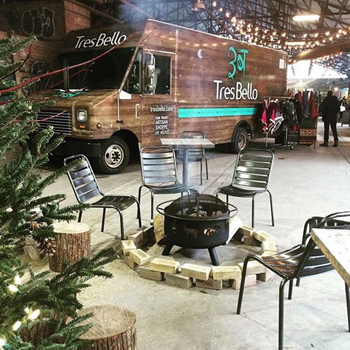 TresBello is a mobile artisan boutique selling fair trade, eco-friendly and wellness-based goods out of a truck. Not just any truck, mind you. It’s retail cute with a paneled exterior and a welcoming entrance and steps up to its sliding back door. The chic interior includes wood floors, exposed brick, Moroccan-influenced accents and a change room. Up to eight guests can browse the beautifully curated clothing, accessories and jewelry that owner Janet Viirre sources locally and from fair-trade communities.